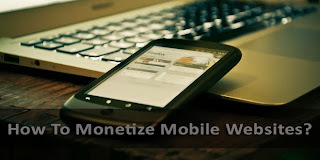 How To Monetize Mobile Sites For Revenue? Since the rapid growth of the mobile web, optimizing your website for mobile devices has become more of a necessity. You can tap a lot of your website's potential by going mobile. We recently discussed some best ways to optimize your website for various mobile devices. Each method has its advantages, but given the type of your audience, one of them might be more suited for your website than others. In this post, we'll talk about how you can monetize your mobile solution to generate income. So, which Google product is used for mobile monetization? Google AdSense is the most popular monetization solution, and not just for desktop, but for mobile sites as well. You might have also heard about AdMob, which is the Google product for monetizing mobile apps. For mobile sites, you have AdSense For Content (AFC), and Custom Search Ads (CSA), both of which are implemented within your existing Google AdSense accounts, and aren't separate products. Previously, when feature phone were the norm, sites were optimized for slow WAP connections. The solution for them was the simple AdSense for Mobile. These websites still exist, and so does the old solution. However, if you're targeting the higher-end devices such as iPhone, Android smartphones, you'll simply have to use the standard AFC ad units that fit your mobile site. For AFC ad units, you use the same codes for your mobile site that you normally use with your desktop site. You'll just have to select ad sized that are specially designed, and optimized for displaying on mobile devices. For example, check out the image below, where the selected ad-size is is '320 x 50' pixels - a size you don't normally use with desktop sites. Speaking of tips, much of the tips and tactics that apply to desktop monetization also apply to mobile monetization in Google AdSense, with just a few things changed. Just like the 300x250 ad unit works well with desktop, the 300x50 ad unit works well for mobile. Here are some initial monetization tips to get you started. Much of the basics remain the same. You might as well read on some more optimization tips as well. If your site has some proprietary search functionality, such as searching your database, and not just searching for a keyword from within your web pages, you’ll be able to monetize with CSA mobile. However, if you use the Google search bar then this won’t be the solution for you. Other examples that are good candidates for CSA are classifieds sites, real estate sites, job search platforms, e-commerce sites, and so on. The advantage of using CSA is, CSA ads are highly customizable so it’s very easy to modify the look and feel of these ads, to align them to your mobile site. What is your solution for mobile optimization? Let us know in the comments section below! This is a wonderful post about mobile blogs monetization. It still baffles me why Google Adsense ads still don't show automatically on blogger mobile blogs, do you have any know solution to this challenge?